Apple’s decision to switch solely to two or four Thunderbolt 3/USB-C ports (depending on which MacBook Pro you purchase) has meant the removal of the MagSafe 2 charging port, the HDMI port, the standard USB port, and even the humble SD card slot. Whether you used those ports every day or once in awhile, that’s a lot of lost utility there. That’s where buying a separate USB-C dock can help substantially by adding flexibility to your MacBook and how you use it. It’s also a useful alternative to updating all your peripherals to match the Thunderbolt 3 or USB-C format. 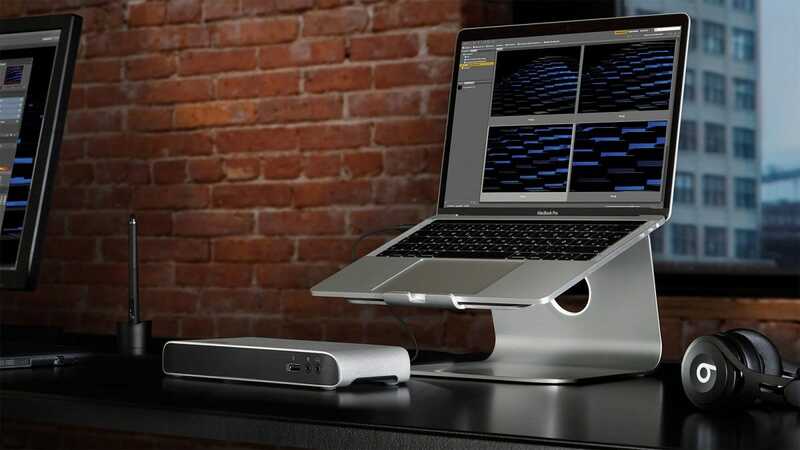 The Elgato Thunderbolt 3 Dock is tough and sturdy, with a wealth of options that will turn your laptop into a powerful desktop machine at home. It includes two Thunderbolt 3 ports, as well as three USB 3.0 ports to cover your most obvious needs. Plugging in your external hard drive just got more straight forward, but so did hooking up a 5K Thunderbolt 3 display. Where the Elgato gets more practical is through its additional slots. There’s a built-in DisplayPort for relevant screen setups, and a Gigabit Ethernet socket too. The latter being a convenient addition after Apple removing Ethernet adaptors from its range for the last few years. There’s also an amplified stereo audio port too, that boosts your sound quality surprisingly well. It’s a great way of extending your options. Looking reminiscent of an external hard drive of old, the CalDigit TS3 won’t win any prizes for style but it’s a practical way of extending your port options on your MacBook Pro. Thanks to its clunky shape, it’s perfect for placing either horizontally or vertically, depending on your desk set up. Ports wise, it’s very similar to the Elgato dock. There are two Thunderbolt 3 ports, one DisplayPort, three USB 3.0 slots, as well as a Gigabit Ethernet port. Where things differ is the addition of two eSATA 6G ports. This is ideal for professional users who have external hard drives that use eSATA connections rather than the more commonly used USB protocol. It won’t be necessary for everyone but if you happen to be one of those people then the CalDigit TS3 is a great fit for your workflow. It’s a pricey option but if you need the most powerful and flexible dock out there, the OWC 13 Port Thunderbolt 3 Dock is the Swiss Army Knife of solutions. It includes two Thunderbolt 3 ports, a mini DisplayPort, five USB 3.1 ports, one FireWire 800 socket, Gigabit Ethernet, an expanded analog audio in/out, and even a S/PDIF pro-grade digital audio output connection. And, just in case you thought it was forgotten about, there’s an SD card reader too for good measure. Assuming you don’t require something more technical like eSATA support, it’s unlikely that the OWC can’t fulfil your needs. If you’re working in a professional capacity, it’s a fine addition to your desk. It’s a chunky size, so you won’t be taking it to your local coffee shop. If you’re not interested in additional Thunderbolt ports, you don’t have to spend a fortune on an USB-C massive dock and may be better served by a more compact solution. 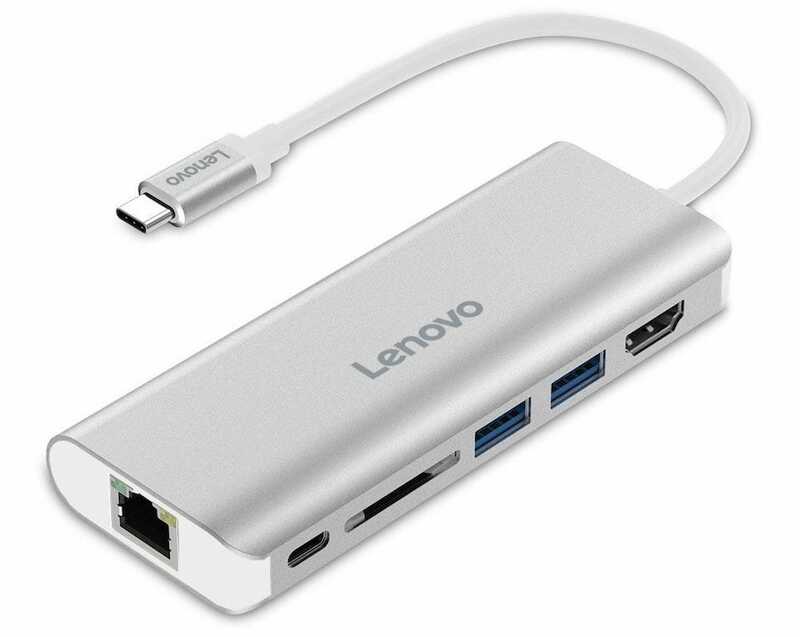 That’s where the Lenovo USB-C Hub is a viable option for many. It provides you with an HDMI output port, a Gigabit Ethernet socket, one USB-C charging port, two USB 3.1 ports, and an SD card reader. The lack of Thunderbolt means it’s not perfect for every user, but it’s an inexpensive way of adding extra ports including that all-important HDMI connection. It’s a pretty small device too, so if you need to pack it away and take it out and about with you, it’s far more convenient than the bulkier entries here. Its aluminium finish keeps things quite stylish too. 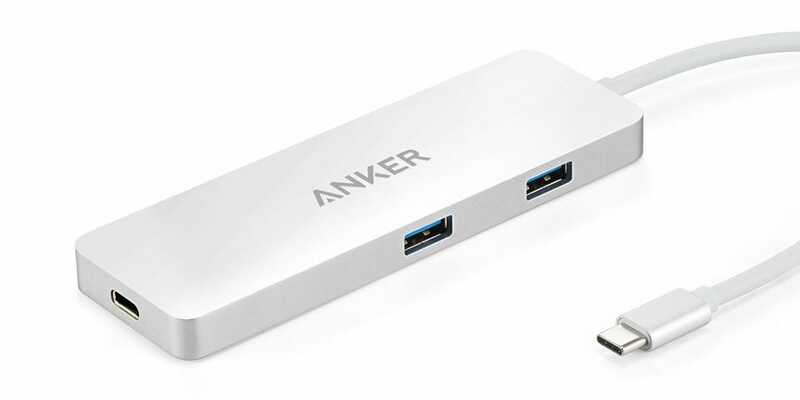 Anker’s a reliable name for third party docks and cables, and the Anker Premium USB-C Mini Dock is no different. The hub turns one USB-C port into two USB 3.0 sockets, one HDMI, one ethernet connection, and one USB-C port. There’s also room for a SD card reader too. That’s pretty good going for a device that’s compact enough that it doesn’t quite run the full length of your MacBook Pro. Such slimline design means it’s perfect for taking with you for working while on the move, while not being deprived of connectivity options. The only downside is that it doesn’t provide a full charge to your MacBook Pro, providing only 51W, so don’t expect this to be the solution to all your needs. It’s pretty close at a fairly inexpensive price, though.